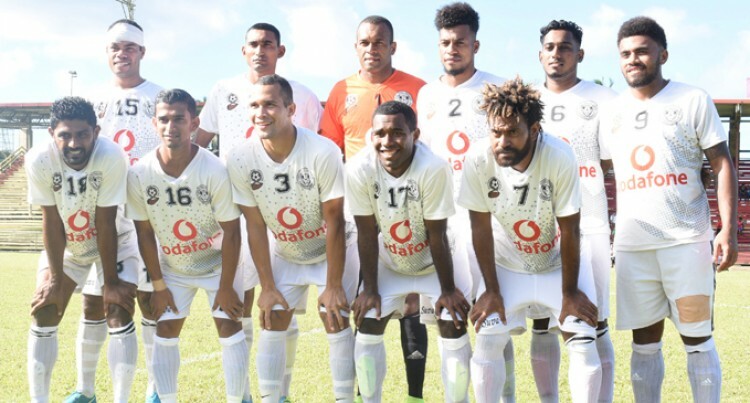 The courageous 10-man Ba team fought back a 2 nil deficit to draw 2-2 with Signs Supplies Suva in the Vodafone Premier League match at Ratu Cakobau Park, Nausori yesterday. Suva dominated early, resulting in the first goal in the 3rd minute. Waisake Navunigasau scored from a header following a corner kick. Ba made several attempts but Suva captain /goalkeeper Simione Tamanisau made some good saves. Suva’s Kelvin Naidu extended the lead in the 34th minute with a header. Despite losing Manasa Nawaikula late in the second half, after he was red carded (double yellow) for unsportsmanlike behaviour), Ba bounced back in the 84th minute to score a goal from a free kick. Malakai Tiwa did not let his side down scoring after the kick was deflected off a Suva player. Suva failed to make use of the advantage allowing Meli Codro to score the equaliser in the 87th minute. Big Play: Veteran Codro was tireless throughout and was credited with the goal. Star Turn: Tamanisau played well for Suva. Suva Coach Tuka Tisam said they were hoping for a good win but are content with the performance. “Playing to our plan is what we hope to improve on. Ba coach Ronil Kumar encouraged his side in the second half to fight back. “The boys came back strong in the second half and they scored two goals and I am happy with their performance. The capital city boys have taken a slender lead having 11 points in the bag after a 2-2 draw against Ba. Labasa have 10 points and are on second spot but have an edge with better goal average. Ba moves third on the points table with 10 points. Lautoka are on fourth spot with 9 points, Nadi remain on fifth spot with 8 points while Rewa climb to sixth with 6 points after registering a 3-0 win over Tavua. Dreketi have 4 points and sit on seventh place and Tavua are bottom placed with 3 points.